TEE was born on the 26th of November 1982 in Hiroshima City Hiroshima prefecture. He started boxing at the age of 16 and he fought at national championship six times through his high school and university days. He was one of the candidates for Athene Olympics but had to give up his dream due to injury. Later, he went to Toronto, Canada, where music inspired him. In 2010, his indie sales and his unique voice created a buzz, and he got signed to Universal sigma after several labels fought over him. His second single “Baby I Love You” charted for 23 weeks consecutively on USEN JPOP hit chart and was pushed at as many as 63 radio stations. 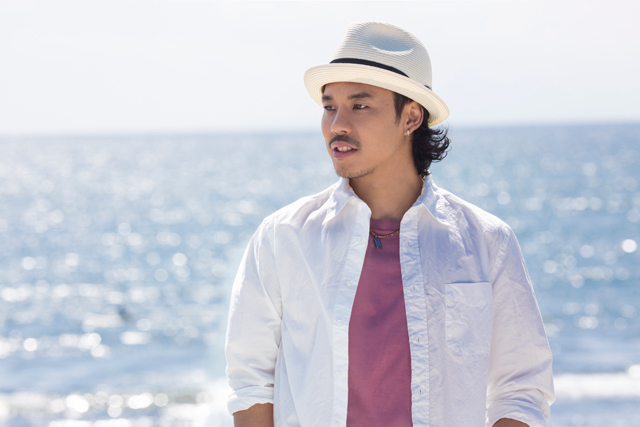 In 2012, he collaborated with Crystal Kay and in March, he was featured exclusively in Japan on Katy Perry’s “Dark Horse”. In November 2015, SPICY CHOCOLATE “Zutto eat. HAN-KUN & TEE” was featured in NTT Docomo TV commercial, charting top for days when released. He has a legendary record of charting top for 19 songs, topping in iTune Weekly chart for 7 weeks, and topping in Recochoku ranking for 8 weeks, which no once has accomplished. In September 2015, he released his download and third album “5 Nen Go no I Love You”. Also his 10th single after 9 months interval will be released, too.